Advice: Do tons of research!! 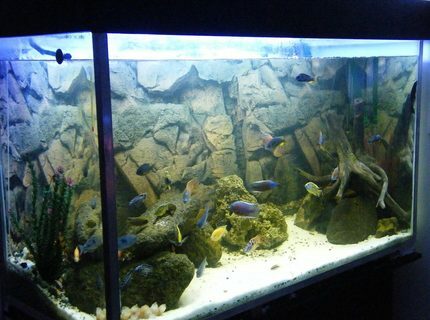 Description: 125 Gallon Malawi Cichlid tank. 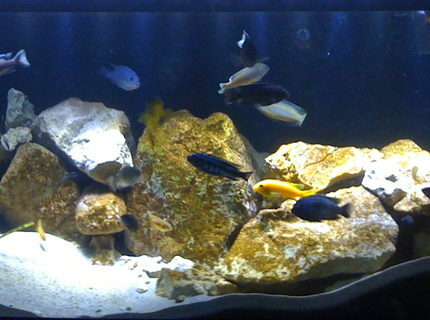 Yellow Labs, Acei, Demasoni's, and a OB Peacock. 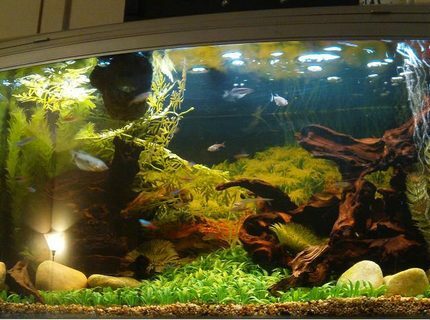 About Yourself: I've been keeping aquaria for over 18 years. About Yourself: Currently a student of Bsc Zoology and Botany 3rd year. Passionate about the environment and learning everything there is to know about it! 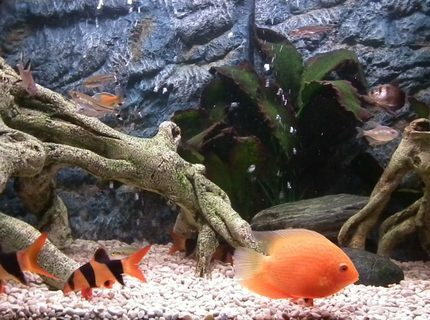 Advice: My biggest word of advice is to do LOTS of research as their are many things you need to consider when dealing with fairly large and potentially aggressive cichlids. 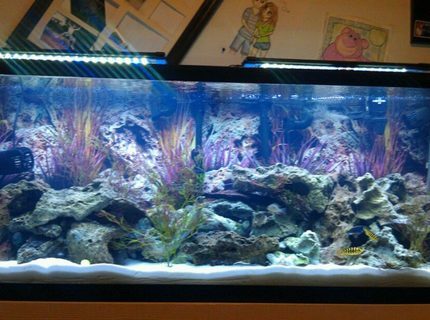 Do NOT buy a fish just because it looks pretty! Its your responibility to ensure the health and happiness of your pets. 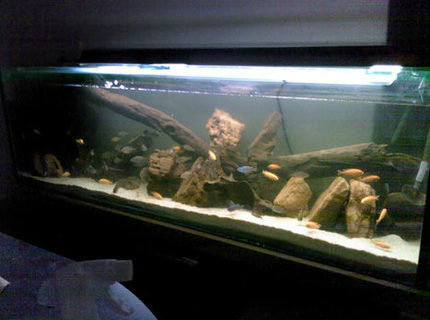 Description: My 150Gal(600L) African Cichlid aquarium. Advice: Take it slow! 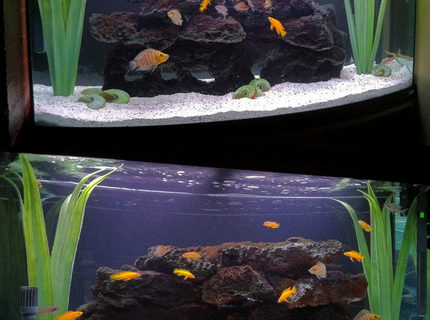 Don't put 50fish into a tank that got filled and switched on this morning. 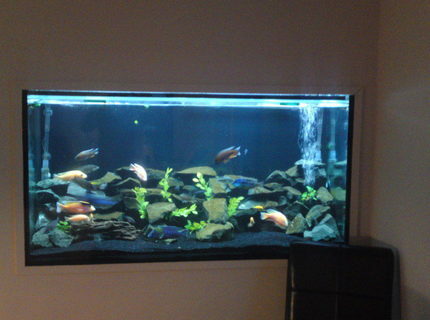 I stocked my tank, with a group every payday - I get payed monthly! 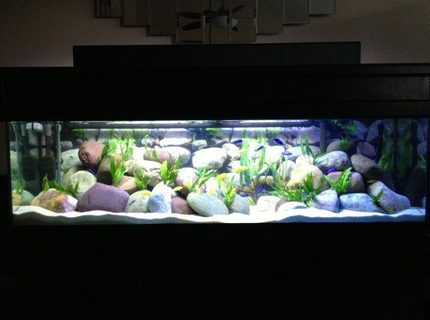 Description: MY TANK, BEEN RUNNINF FOR OVER 12 MONTHS NOW. 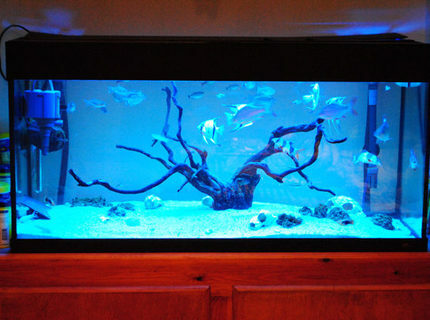 Quote: "Drink like a fish"
Description: Double-sided 70G Tanganyika Show Tank with bow-front.